Can Jaden Smith follow in Ralph Macchio's footsteps as the infamous 'Karate Kid', and maybe more importantly will he follow in the footsteps of his Hollywood blockbuster father, Will Smith. 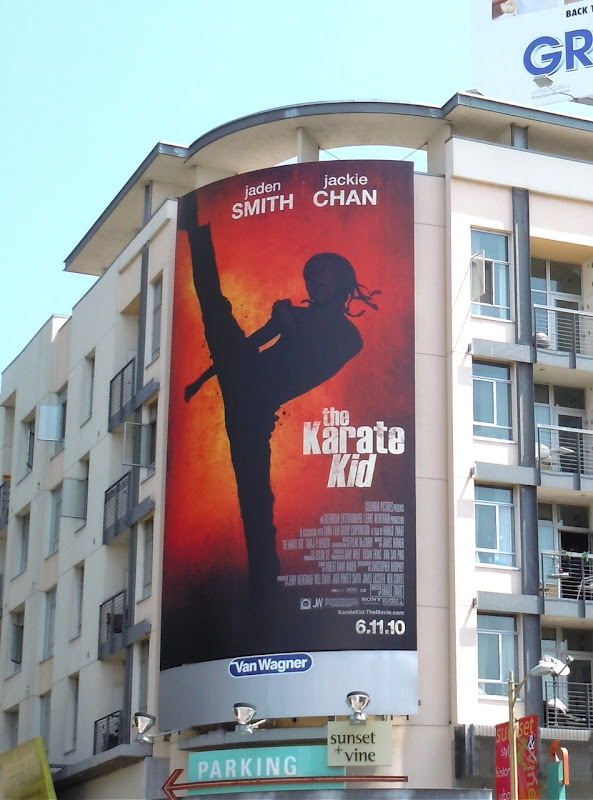 This billboard makes for an interesting visual, with the red and white Asian influence and high-kicking kung fu silhouette. 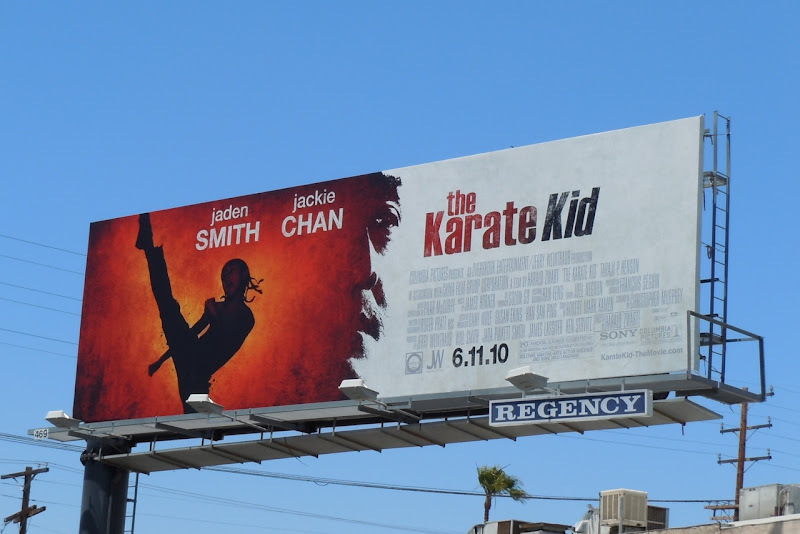 This new version of The Karate Kid opens today and this great billboard was photographed along Fairfax Avenue in L.A. on May 20, 2010. 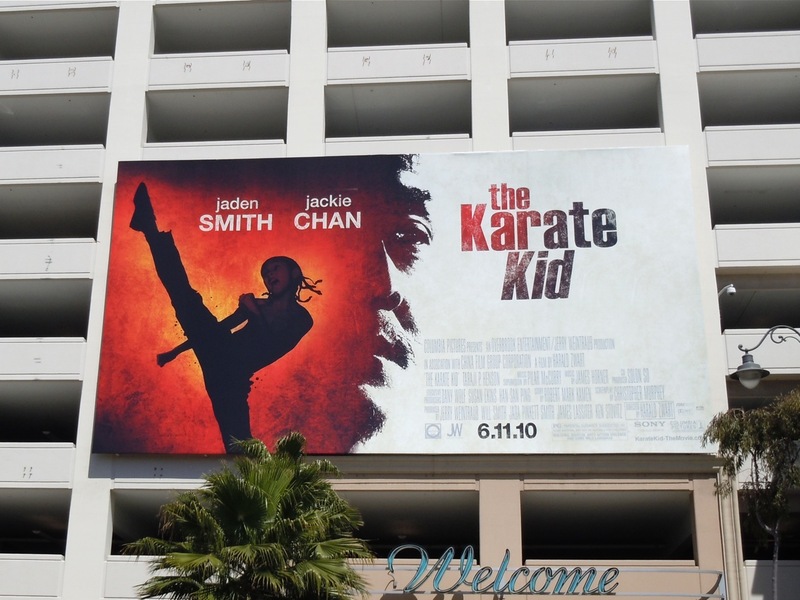 UPDATED: Here's two more billboards for The Karate Kid remake snapped at The Grove shopping center and Sunset & Vine on May 6 and 19, 2010 respectively.